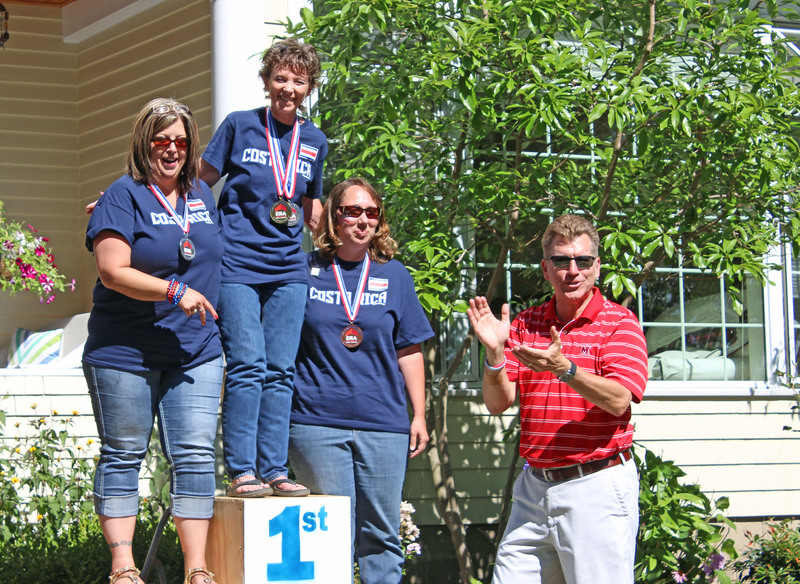 The 2016 Listing Olympics came to an end on Wednesday, July 20th with the closing ceremony party! In honor of the Olympics theme, everyone came dressed to impress in their designated “office country” colors. The party was hosted at Broker/Owner Bill Soffel’s residence and it was a great venue for the event! Olympic music played in the background to set the mood for all of the fun to be had. 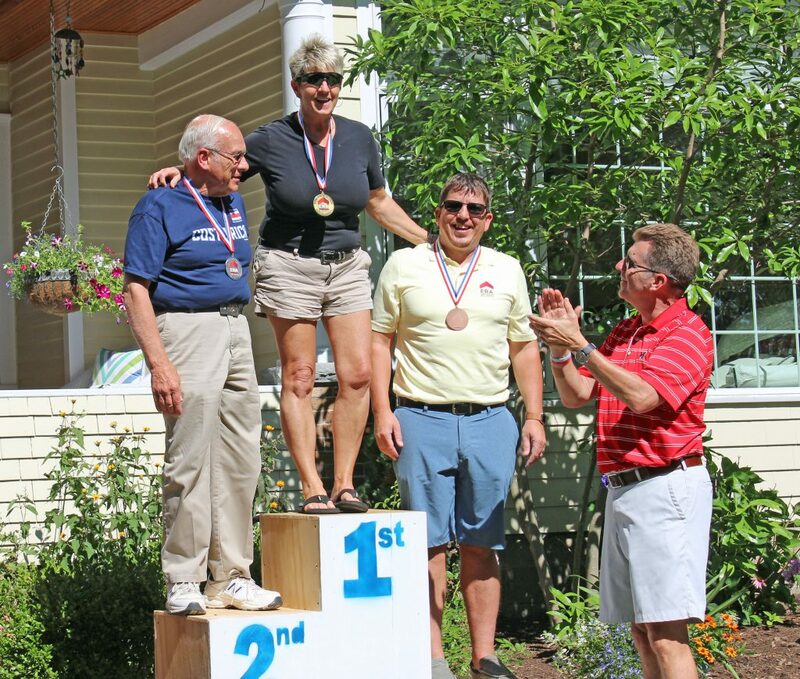 Before the medals were presented and the contestants got their picture taken on the podium, there was great food and refreshments provided! There was a canoe cooler set up on the front lawn and catered food from Sandee’s of Jamestown. Everyone really enjoyed the food and the great atmosphere that the party had to offer! There were also tents set up for people to sit in the shade and lawn games for everyone to enjoy! 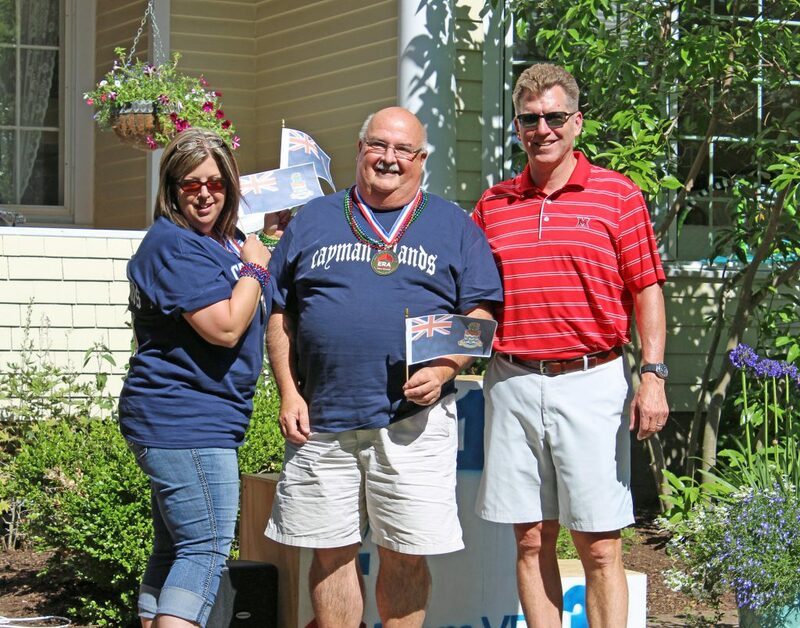 1st place: Kathy Obermeyer, Bradford Jamaicans. 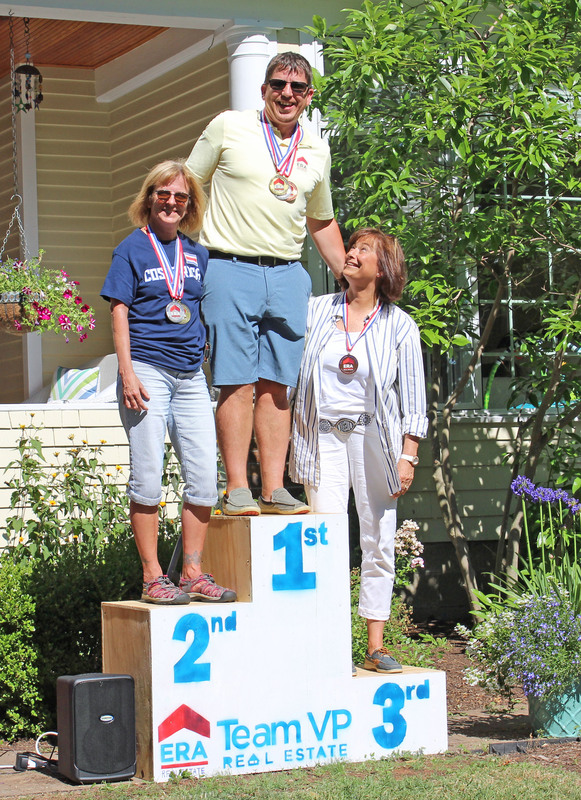 2nd place: Dave Zilker, Yorkshire Costa Ricans. 3rd place: Wayne Weaver, Chautauqua Swedes. 1st place: Karen Dolce, Chautauqua Swedes. 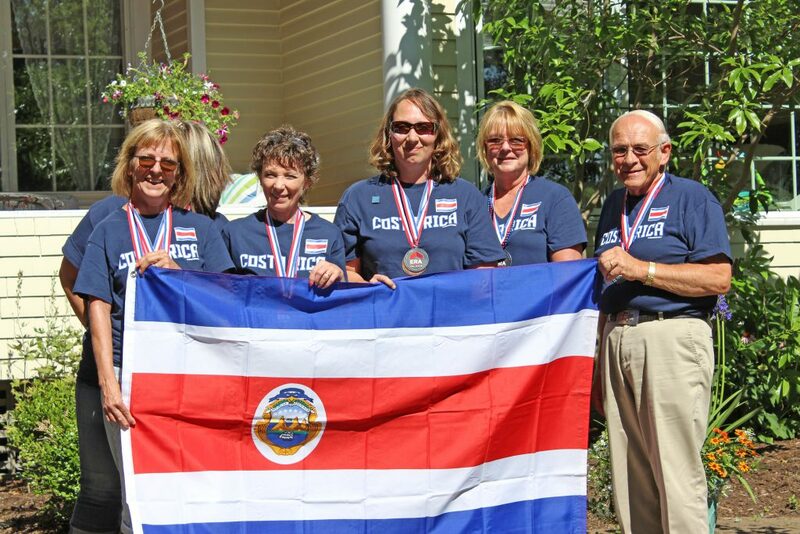 Tied for 2nd place: Rita White & Debbie Hackett, Yorkshire Costa Ricans. 1st place: Rita White, Yorkshire Costa Ricans. 2nd place: Wendy Freiheit, Yorkshire Costa Ricans. 3rd place: Michelle Schmidt, Yorkshire Costa Ricans. 1st place: Wayne Weaver, Chautauqua Swedes. 2nd place: Debbie Hackett, Yorkshire Costa Ricans. 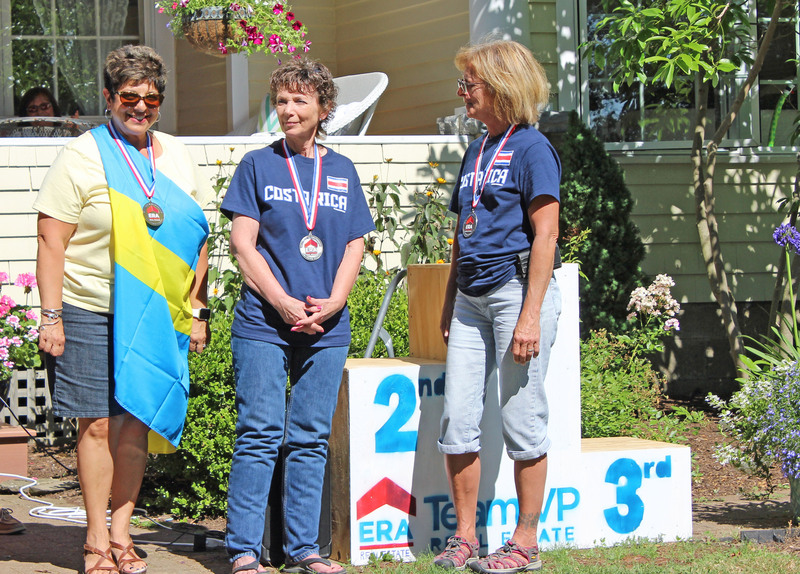 3rd place: Jane Grice, Chautauqua Swedes. 1st place: Debbie Hackett, Yorkshire Costa Ricans. 2nd place: Wayne Weaver, Chautauqua Swedes. 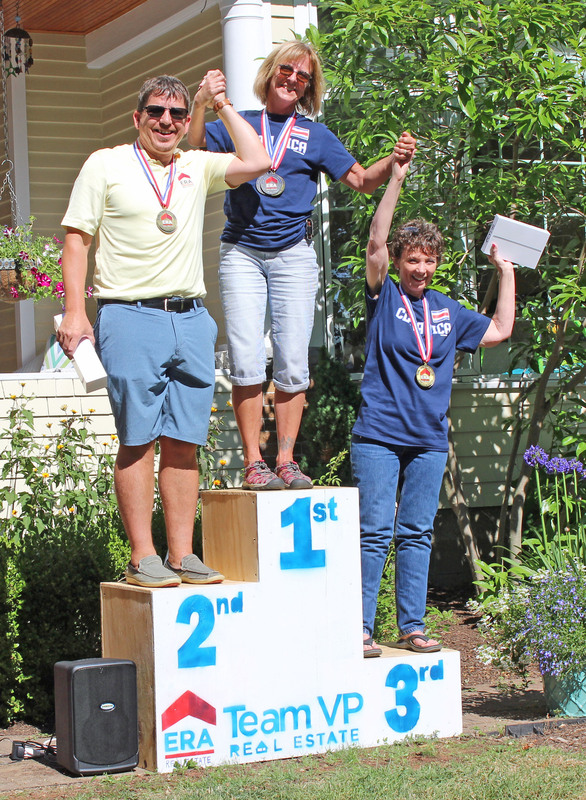 3rd place: Rita White, Yorkshire Costa Ricans. Everyone got their pictures taken with their medals and there was all around great support from our whole staff! After the awards ceremony, agents placed their tickets into the raffle for a chance to win some technology and fun prizes. The more points that they agents earned during the competition, the more tickets they received for the Chinese auction! Their hard work paid off because most of our agents left with a great prize. The night ended with a beautiful sunset over the lake. Thank you to our entire staff for all of your hard work and dedication to making this a great event, and congratulations to all of our winners! We can’t wait for next year’s event! Now that 4th of July weekend has come and gone and summer is hitting its half way point, you may be struggling to find things to look forward to. In reality there is still a lot of summer left and there are so many different things you need experience in the area! ERA Team VP Real Estate & Vacation Rentals has you covered because we are going to tell you what you may be missing out on and how you can make the rest of this summer one to remember! Have you been down to Bemus Point, NY? Well if you haven’t, this summer is the time to go because it has so much going on every single weekend! If you are a fan of live music and great views of Chautauqua Lake, why not head on down to the floating stage for the Bemus Bay Pops! They have different tribute bands playing every weekend and it is always a great atmosphere! Also if you didn’t know already, Ellicottville Brewing Company has a new location right in Bemus Point and it has been a hot spot this whole entire summer! Whether you want to sit down on the dec k area, sip on a brew, and enjoy the views of the lake and beautiful Bemus Point, or have an outstanding meal with friends and family, EBC has it all for you this summer! While you are in the Bemus area, you might as well make a weekend out of it and stay in one of our gorgeous rental homes anywhere around Chautauqua Lake! Just visit our website, give us a call, or stop by our office and we will help you plan a trip of a lifetime! 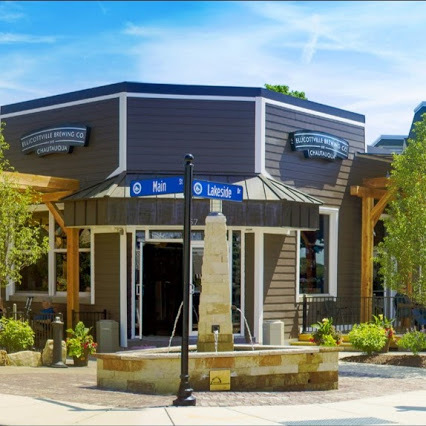 While you are in town, you will definitely want to stop at the Southern Tier Brewing Co. Brewery located right here in Lakewood, NY! Enjoy some delicious beer, great tasting food, live music, and so much more! And wait, it gets better! If you do decide to purchase a rental home on Chautauqua Lake this summer, we have a special “My Team VP” MY BREW complimentary pint coupon for the Southern Tier Brewery for you in our check-in packets! Make sure you get on down here and experience this great brewery! Did you just think that Ellicottville, NY was fun in the winter for skiing? Well it is also a great place to visit in the summer! You can walk around town and go to awesome restaurants and shops that are centrally located right in town. If you like the outdoors, there is plenty of fun to be had! Head on down to Holiday Valley for the Sky High Adventure Park. They have an amazing zip lining and obstacle course fun for all ages. Do you like thrill rides? Well they have a mountain coaster that zips down and around the mountain! 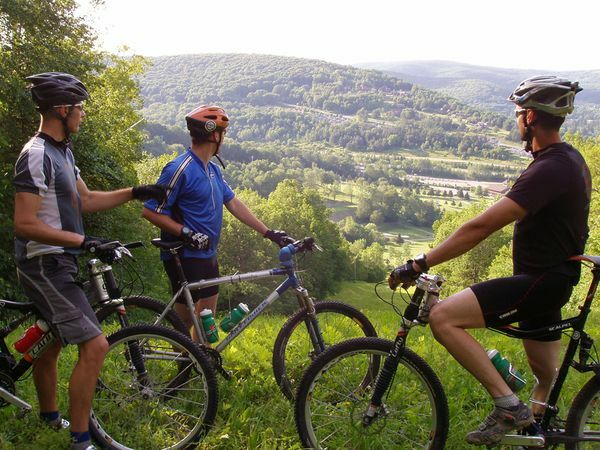 They also have amazing bike trails and the Double Black Diamond golf course to fulfill any of your outdoor sporting needs. The list continues, so head on down to Ellicottville, NY and you won’t be disappointed. In the mood for more resort style fun? Head down to Findley Lake, NY to Peek n’ Peak Resort! Why not make a weekend out of it and play both of the beautiful golf courses located right on the resort! If you really want take your game to the next level, head up to the Upper Course, which hosts the PGA Tour’s Web.com Tour. Peek n’ Peak also has a Mountain Adventure Aerial Course and Segway tours. Outside of the resort you can enjoy the beautiful Findley Lake and plenty of great restaurants surrounding this awesome area! Whether it’s chilling by a lake or being active outdoors, the Chautauqua and Cattaraugus county area has endless options for you this summer! All you need to do is make the trip down to the area, and the fun will take care of itself. If there is one thing we can tell, your summer fun is just beginning! Enjoy your “My Team VP” MY BREW compliments of the Southern Tier Brewing Company! ERA Team VP Real Estate & Vacation Rentals is proud to announce our new partnership with Southern Tier Brewing Company! Each one of our Chautauqua Lake Vacation Rental Homes will now feature a “My Team VP” MY BREW coupon for a complimentary Pint of your choice for you and a friend at the Southern Tier Brewing Company located at 2072 Stoneman Circle in Lakewood, NY! This premier brewery has been growing in popularity and national reach, but their brewing facilities, tasting room, and restaurant (The Empty Pint) is a somewhat hidden gem in Chautauqua County that surely won’t disappoint! Whether you have been to the brewery before or this is your first time, how could you possibly turn down a free craft beer and an amazing experience to go along with it! Southern Tier Brewing Co. is one of the biggest craft brew companies in the United States and it is definitely a not miss experience when visiting the area. Bring your friends and family and enjoy what this great brewery has to offer! Featuring tasty cuisine, activities on the lawn, local bands, brewery tours, and of course the famous craft pints, this brewery is a local hotspot you will not want to miss! Head on down and listen to some live music while you sip on your complimentary brew or enjoy the unique stones course with some friends. Beer to take home and Southern Tier merchandise is also available for you to purchase right on site. For more information on all things Southern Tier and to see a schedule of their summer events, visit STBCbeer.com or check the out their Facebook page! “All of us at ERA Team VP Vacation Rentals are excited to be partnering with STBC in this fun promotion. Southern Tier Brewing Company has become a staple in our community and we want to encourage our visitors to experience all that this unique brewery has to offer!” says Rachael Wiley-Steffen, Director of Corporate Marketing and Vacation Rental Management. 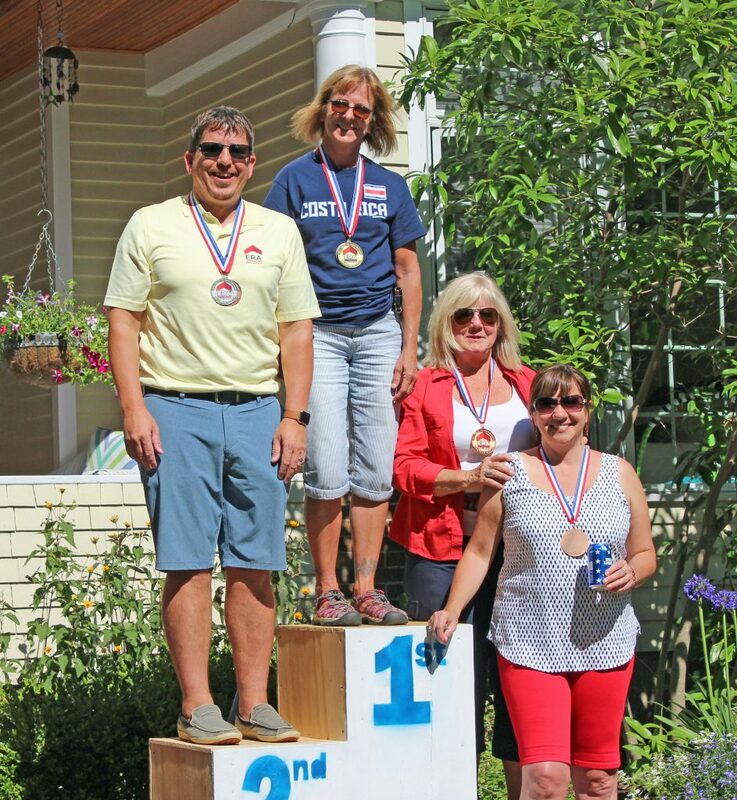 If you’ve already made reservations for a lake vacation rental home this summer then make sure to keep an eye out for your “My Team VP” MY BREW coupon in your check-in packet! If you are still looking for a summer getaway visit www.myteamvp.com to view our 200+ available rental properties or call our office in Mayville, NY at 716-413-0201 to speak with a seasoned reservationist about booking your vacation rental! Posted on July 6, 2016 July 6, 2016 Author ERA Team VPCategories UncategorizedLeave a comment on Enjoy your “My Team VP” MY BREW compliments of the Southern Tier Brewing Company!